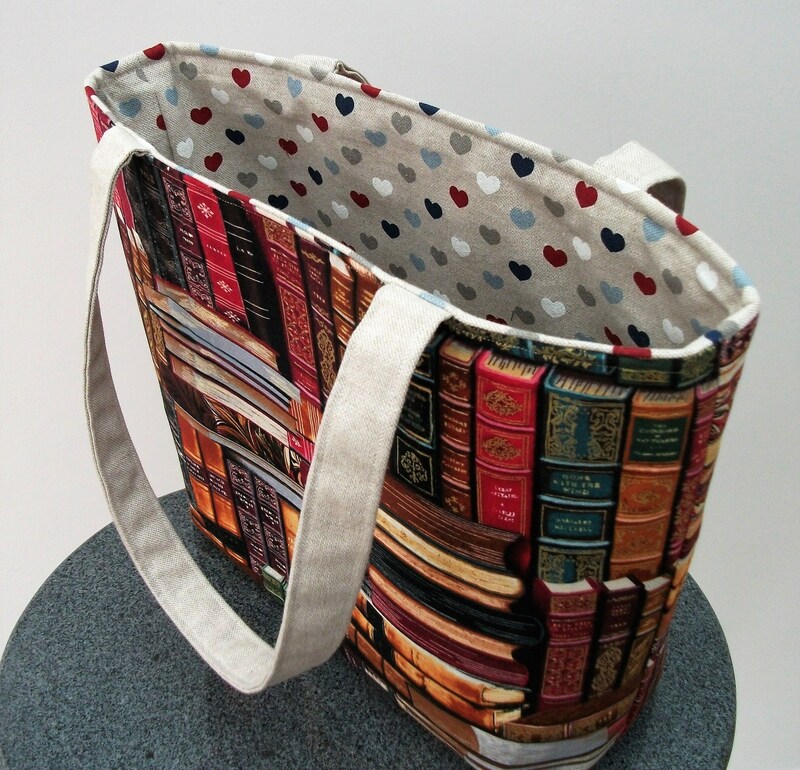 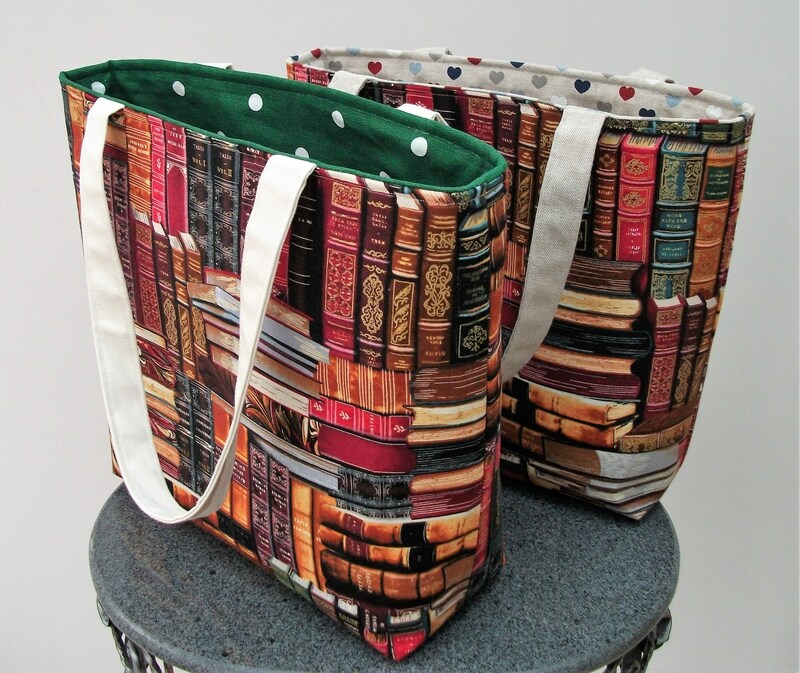 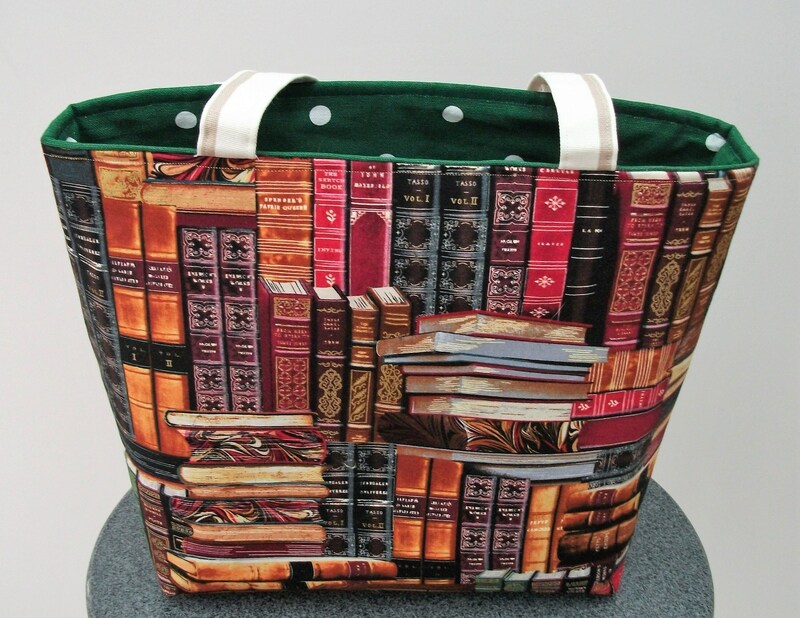 Medium sized book bag made from beautiful cotton fabric featuring images of classic books that every book lover will know! 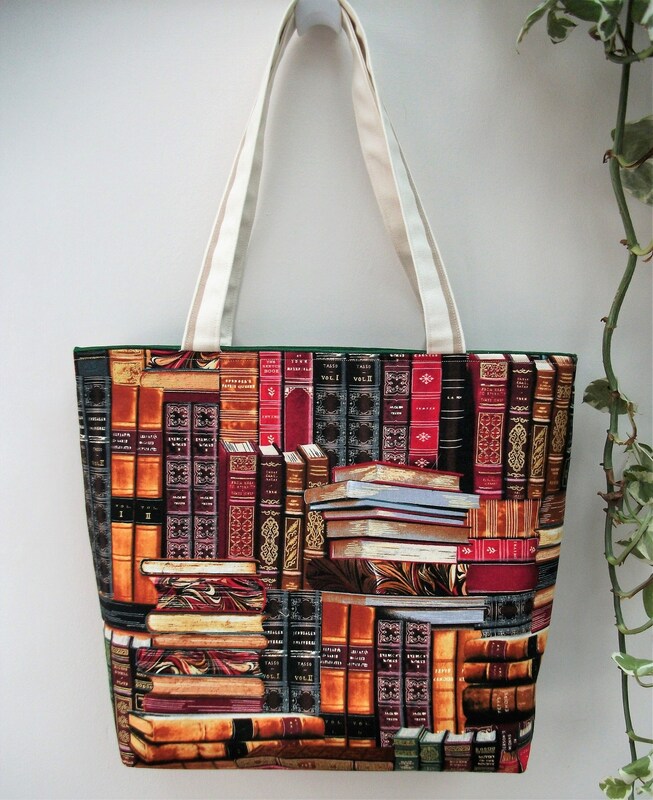 The cotton fabric has rich shades of red, blue, dark green and has highlights of gold on the book titles and decorations of the covers. 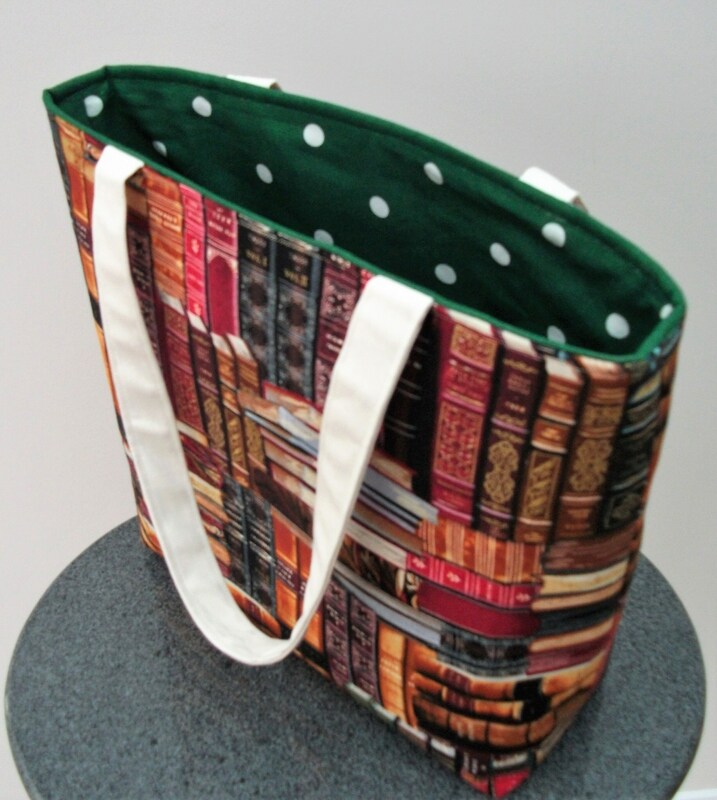 It has a contrasting lining of dark green spotty fabric and has the option of a small pocket inside which will hold keys or a change purse. 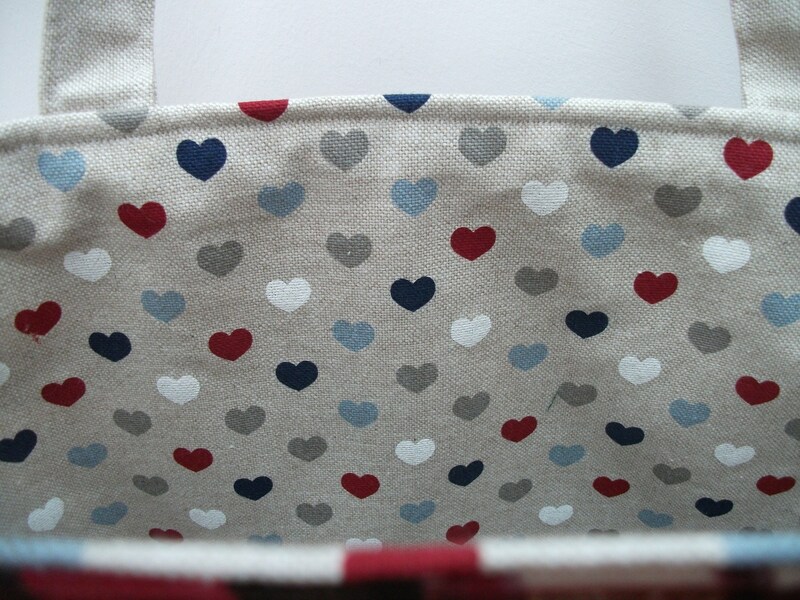 It can also be made with a beige coloured lining with a pattern of hearts. 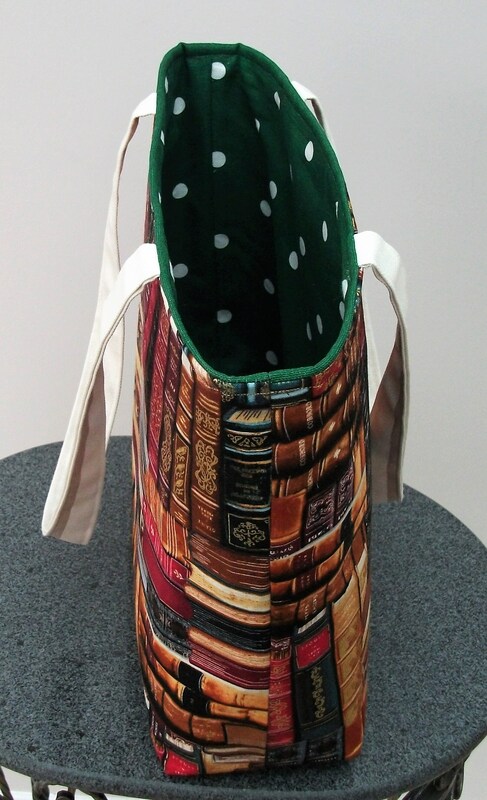 There is a heavy interfacing to give the bag strength and body so it will stand firmly. 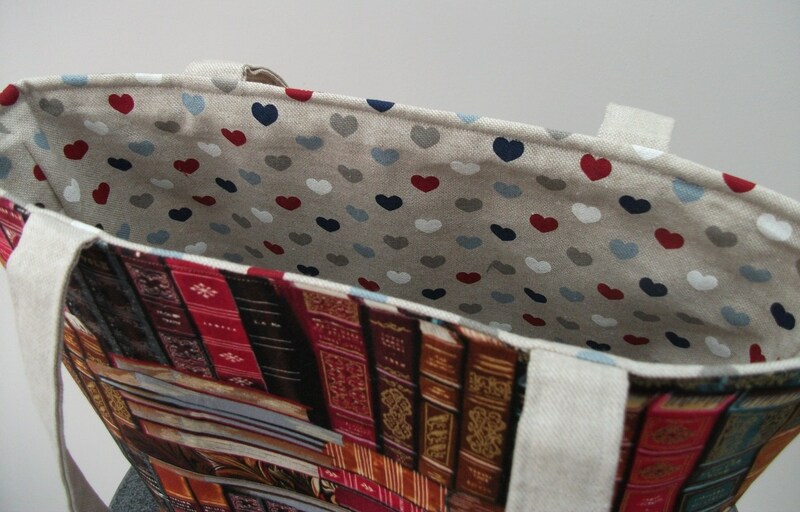 The handles are made from a contrasting light coloured fabric triple stitched to the bag for added strength.